Savage E-Liquid Bond is a unique fruit blend that’s perfect as an all-day vape. 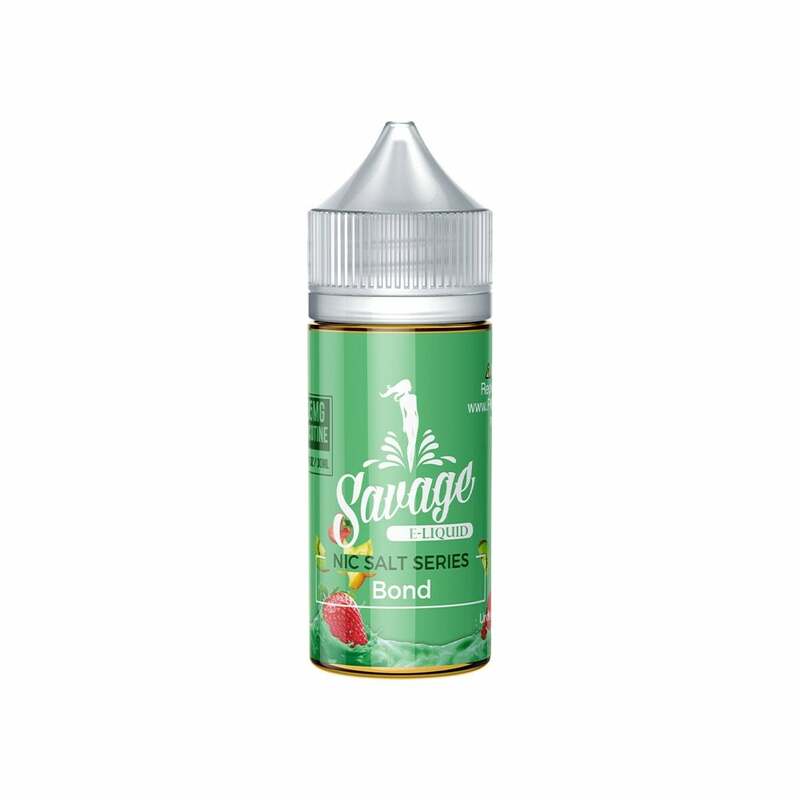 A cocktail of dragon fruit, juicy kiwi, vibrant strawberries and icy menthol, Bond by Savage E-Liquid is juicy, subtly sweet and utterly refreshing. Started vaping Savage Bond e-juice about 2 years ago in sub-ohm devices. It was a tasty juice and the nic salt version is even better. If you like fruit flavors and we're a menthol smoker like I was you'll love this stuff. I took a chance on it and haven't used anything else since. Great flavor, a bit heavy on the menthol though. Delicious. Favorite juice so far. LOVE the flavor and price, however every time I use this juice I get a wicked sore throat the next day and feel sick. Not sure if I got a bad batch.. Very fruity, very sweet. It gets a bit overwhelming on its own, but I've found mixing it with Salty Man Juice Box (Juiced Apple) Ice version gives me the best of both worlds. If you like bright punchy flavours this is a winner. Has a very good fruit taste to it. Highly recommend! First kiwi fruitish juice I've tried and it's not very good. I've heard bad things about kiwi juices but had to try it myself. Yup, not getting anymore kiwi type juices anymore. I enjoyed this juice a lot, it was pretty mellow after the first few hits but still have a good throat hit. I would definitely order this again. A nice light sweet and fruity menthol! The fruits are subtle and the menthol is a little stronger without being overbearing. I’d definitely get this one again. Wonderful flavor! It's my go-to-everyday. This is my all day vape, sweet spot hitting go-to. It was the first juice I ever tried and it empowered me to finally kick my awful ciggi addiction. It has just the right touch of menthol and the flavor is sweet and amazing. Unfortunately, I haven't had the same experience with other Savage items, including Nic Salts and ejuices, and this is the only one I've liked. Didnt enjoy the taste too well. Good product nonetheless.